Most of us are fond of children who are chubby, as they are so adorable and likely huggable, that we often tend to forget that being overweight is not good especially for a growing child. Toddlers usually are picky eaters, so we do everything to encourage them to eat. However, when they start to develop their fondness to consume food, they will have the tendency to take more calories than their little bodies can burn up, so obesity occurs. We need to be aware of the risks and complications it may bring to our kid’s health. If they will continue to gain more weight which is higher than what is recommended for their height and body type, they could develop health problems like heart disease, high blood pressure, diabetes, sleeping troubles, breathing problems and more. Proper planning of the family meals, nourishing them with healthy foods and as much as possible stay away from junk and fast foods will prevent extra pounds. Encourage them also to do more physical activities to burn up excess calories instead of just letting them be a couch potato in front of a television or a computer. Eating habits through a developed routine is recommended by most doctors. Fruits as snacks in between meals are far more perfect than chips and chocolate bars. 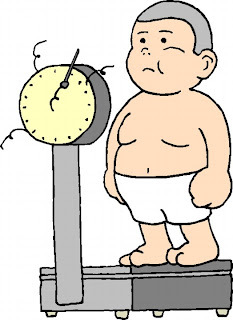 Overweight prevention is easier to manage than to implement a diet for an overfed. By monitoring our children’s health and nutrition, their ideal weight can be maintained to keep them always fit and healthy, thus will give them a more active lifestyle too. My kids are monsters . They are seven and three of them have special needs . None of them have been chubby from the start but they eat all kinds of food , especially veggies, that sometimes I feel like I am a good cook (when in truth I am not). Thank you for writing your post. I hope you can write practical tips on cooking veggies as well that suits the budget, as my kids and I rarely eat pork and beef.